Our distribution team is handling a large number of daily order requests. With our customer-first policy we know how important it is to get your spare part as soon as possible delivered. In this page we give you an impression how we process your order after we receive it. Our customer help desk team reviews your requested ordered products, country of origin, custom policy and shipping address immediately. After the information is completed and sufficient, we sent the order to our distribution centre. Order distribution is a very detailed process. Products are physically inspected and labeled one by one. Before the order is picked up by the packing department, it is double-checked. After the double-check is completed, your order is packed carefully. The orders are daily shipped in batches. All packages abroad are sent with DHL, TNT, UPS or FEDEX. From the moment that the order is shipped you get a confirmation by email. We ship to all countries over the world. If you have a question about the shipment of your order, feel free to contact us. This is the last final step in our process. After your order is received, we will ask friendly to check the items carefully. However, we do a double-check in the distribution process, we will serve you in the most perfect way. If you miss products or any other issues, please let us know. We offer two shipping options in our checkout pages. See information below for comparing both options. 100% free shipping, no shipping fee! 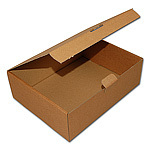 Below you can find the package box for the "free shipping" method. It can vary depend on the number of products. Of course, the package is filled up with protection material before it shipped out. How to choose this kind of shipment? It is very simply, go to the cart page and follow the checkout steps. 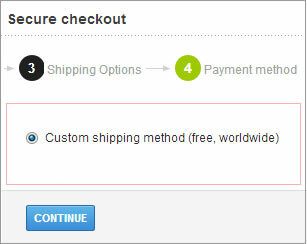 In step three you can choose as payment method "Custom shipping method free". This shipping method is available for each country over the world. Fee for the selected country is automatically calculated in the checkout process. 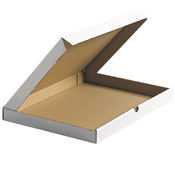 Orders which are shipped with the urgent shipping method are shipped in bigger boxes. See detailed box below. Please note that the size can vary depending on the number of products. Of course, we use filling material for protection before the package is shipped. It is very simply, go to the cart page and follow the checkout steps. 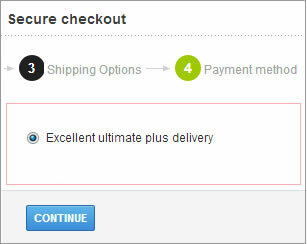 In step three you can choose as payment method "Excellent ultimate plus delivery". The excellent shipping method is based on your location. Tariff's can differ. Please proceed a checkout to get the current fee. Afghanistan, Akrotiri, Albania, Algeria, U.S. Virgin Islands, American Samoa, Andorra, Angola, Anguilla, Antarctica, Antigua and Barbuda, Arctic Ocean, Argentina, Armenia, Aruba, Ashmore and Cartier Islands, Atlantic Ocean, Austria, Australia, Azerbaijan, Bahamas, Bahrain, Bangladesh, Barbados, Belarus, Belgium, Belize, Benin, Bermuda, Bhutan, Bolivia, Bosnia and Herzegovina, Botswana, Bouvet Island, Brazil, British Indian Ocean Territory, British Virgin Islands, Brunei, Bulgaria, Burkina Faso, Burundi, Cambodia, Canada, Cayman Islands, Central African Republic, Chile, China, Christmas Island, Clipperton Island, Cocos (Keeling) Islands, Colombia, Comoros (Union), Congo (Democratic Republic), Congo (People's Republic), Cook, Coral Sea Islands, Costa Rica, Cuba, Cyprus, Croatia Denmark, Dhekelia, Djibouti, Dominica, Dominican Republic, Germany, Ecuador, Egypt, El Salvador, Equatorial Guinea, Eritrea, Estonia, Ethiopia, European Union, Falkland, Faroe Islands, Fiji, Philippines, Finland, France, French Polynesia, French Southern and Antarctic Lands, Gabon, Gambia, Gaza Strip, Georgia, Ghana, Gibraltar, Grenada, Greece, Greenland, Guam, Guatemala, Guernsey, Guinea, Guinea-Bissau, Guyana, Haiti, Heard Island and McDonald Islands, Honduras, Hungary, Hong-Kong, Ireland, Iceland, India, Indian Ocean, Indonesia, Iraq, Iran, Isle of Man, Israel, Italy, Ivory Coast, Jamaica, Jan Mayen, Japan, Yemen, Jersey, Jordan, Cape Verde, Cameroon, Kazakhstan, Kenya, Kyrgyzstan, Kiribati, Kuwait, Laos, Lesotho, Latvia, Lebanon, Liberia, Libya, Liechtenstein, Lithuania, Luxembourg, Macao, Macedonia, Malagasy, Malawi, Maldives, Malaysia, Mali, Malta, Morocco, Marshall Islands, Mauritania, Mauritius, Mayotte, Mexico, Micronesia, Federated States of, Moldova, Monaco, Mongolia, Montenegro, Montserrat, Mozambique, Myanmar, Namibia, Nauru, Navassa Island, Netherlands, Netherlands Antilles, Nepal, Ngwane, Nicaragua, New Caledonia, New Zealand, Niger, Nigeria, Niue, Northern Mariana Islands, North Korea, Norway, Norfolk Island, Ukraine, Uzbekistan, Oman, Pacific Ocean, Pakistan, Palau, Panama, Papua New Guinea, Paracel Islands, Paraguay, Peru, Pitcairn, Poland, Portugal, Puerto Rico, Qatar, Romania, Russia, Rwanda, Saint Helena, Saint Lucia, Saint Vincent and the Grenadines, Saint Pierre and Miquelon, Salomon, Samoa, San Marino, São Tomé and Principe, Saudi Arabia, Senegal, Serbia, Seychelles, Sierra Leone, Singapore, Saint Kitts and Nevis, Slovenia, Slovakia, Sudan, Somalia, South Georgia and South Sandwich Islands, Southern Ocean, Spain, Spratly Islands, Sri Lanka, Suriname, Svalbard, Syria, South Africa, South Korea, Sweden, Switzerland, Tadzhikistan, Taiwan, Tanzania, Thailand, Timor Leste, Togo, Tokelau, Tonga, Trinidad and Tobago, Chad, Czech Republic, Tunisia, Turkey, Turkmenistan, Turks and Caicos, Tuvalu, Uganda, Uruguay, Vanuatu, Venezuela, United Kingdom, United Arab Emirates, USA, Vietnam, Wake Island, Zambia, Zimbabwe. Please note that we cannot ship to the red marked areas. These areas are because of custom reasons and local government policy. We can deliver to the orange area "North Korea" but you will be contacted before the order is shipped out. We ship to all other countries that not marked. Questions about shipping or need help? Do you need more information about the shipping process or our method of distribution, feel free to contact our help desk team. Email us by the form below or call us at 0031113212810 or 0031880009100.